The ultimate option for giving your Accord Coupe the sportiest stance in the pack features front under body, side under body and rear under body spoilers. Touring shown in San Marino Red. Body Side Molding accentuates the styling, while also being ideally positioned to help protect against door dings and scratches. The 19-inch Diamond Cut Alloy Wheels are the perfect way to add the extra wow factor to your new Accord, while also making it distinctly yours. The Decklid Spoiler adds a subtle, tasteful enhancement that makes a big contribution to the sleek aerodynamics of your Accord. The cockpit features a host of stylish design cues, from a color Multi-Information Display to leather accents throughout. Leather accents standard on EX-L, EX-L V-6 and Touring. An ergonomically-designed steering wheel features controls to answer the phone, change the song, turn up the volume and more. Paddle shifters allow you to downshift for some extra passing power or upshift into the next gear on the open highway, all without taking your hands off the wheel. No more fumbling for the perfect seating position with features like available driver memory seats with two savable positions and 10-way adjustability. Driver’s seat with 10-way power adjustment standard on EX, EX-L, EX-L V-6 and Touring. Two-position memory feature standard on EX-L, EX-L V-6 and Touring. Leave your car key fob in your pocket. All the power to start Accord Coupe is at your fingertips with Push Button Start. Push Button Start standard on EX, EX-L, EX-L V-6 and Touring. No matter how hot or cold it is outside, keep the inside of the cockpit the perfect temperature with a Dual-Zone Automatic Climate Control system. Control up to three remote control devices around your home — including garage doors, lighting or home security systems — from inside the cockpit with HomeLink®. HomeLink® standard on EX, EX-L, EX-L V-6 and Touring. The Accord Coupe offers comfort throughout the cockpit with leather-trimmed seats and a leather-wrapped steering wheel and shift knob. Leather details standard on EX-L, EX-L V-6 and Touring. Enjoy a better glimpse of overhead scenery or get a little extra fresh air on every drive with the One-Touch Power Moonroof. One-touch Power Moonroof standard on EX, EX-L, EX-L V-6 and Touring. Headlights used to blind you from behind. The Automatic-Dimming Mirror darkens to reduce the glare. No hand Adjustments necessary. Automatic-Dimming Mirror standard on EX-L, EX-L V-6 and Touring. A finishing touch that is subtle and sporty, the Illuminated Door Sill Trim dresses up the interior while helping protect the lower door sill from scuff marks. The things you haul in your trunk often spill, leave stains or otherwise mar the original carpeting, making a Trunk Tray a wise investment. The 278-horsepower iVTEC® engine standard on EX-L V-6 packs surprising amounts of power and efficiency into one engine. Performance 278 hp @ 6200 rpm (SAE net). With three choices of transmission — a 6-speed manual, a Continuously Variable Transmission or a 6-speed automatic — your Accord Coupe can match your driving style. The gauges in Accord Coupe combine digital and analog instrumentation to keep you connected to your car at all times. The plush, leather-trimmed seats offer a stylish look to Accord Coupe and provide a supportive, sporty feel to every drive. Standard on EX-L, EX-L V-6 and Touring. From Remote Engine Start to Honda Sensing™, the Accord Coupe is available with top-shelf technology offerings to help make the most of every drive. Remote Engine Start is standard on EX, EX-L, EX-L V-6 and Touring. Be your own navigator in and get to wherever you want to go with the Honda Satellite-Linked Navigation System™, featuring HD Digital Traffic and voice recognition. Standard on EX, EX-L, EX-L V-6 and Touring. Get a better look at what's behind you with a Multi-Angle Rearview Camera* that offers three different views: normal, wide and top down. Hear (and feel) all your favorite songs with multiple ways to connect your digital audio and a 360-watt, 7-Speaker Premium Audio System with Subwoofer. Tap into your iPhone® with Apple CarPlay™* and access directions, your music library and more through the Display Audio touchscreen. Android Auto™* allows you to use your compatible Android phone to access directions, your music and more, all through the Display Audio touchscreen. The 7-inch Display Audio touchscreen allows you to access your favorite music, podcasts and more. All you need is a compatible smartphone. Connecting your compatible mobile device is seamless with HondaLink®, making it easy to stream music, schedule service appointments and more. This suite of safety and driver-assistive technologies on Accord Coupe is designed to alert you to things you might miss while driving. Standard on Touring. Available on LX-S, EX, EX-L and EX-L V-6. Helps you maintain a set following interval from a vehicle detected ahead, so you don't have to manually change your speed. Helps bring the vehicle to a stop when it senses an otherwise unavoidable collision with a vehicle detected in front of you. A small camera sees road markers, alerts you if you’re about to leave the road and can take action to keep you from doing so. 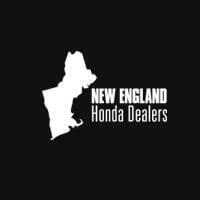 New England Honda Dealers	, .